Samsung will roll out Samsung Pay in the U.S. on September 28, 2015. This new payment service has been built via the acquisition of LoopPay. Samsung plans to roll out Samsung Pay in China, the United Kingdom, and Spain in the near future. The Samsung Pay rollout was announced at an event in New York while launching the Galaxy Note 5 and Galaxy Edge+, on which the new service will be preloaded and available to use for free. In fact, after the company had acquired LoopPay, Samsung Pay beta tests showed good promise for the Korean electronics giant in its war to catch up with Apple Pay and Android Pay, Google’s entry into mobile payments. The big win is that LoopPay already works with most point-of-sale terminals. Samsung uses the combination of magnetic transmission and Near Field Communication technologies to gain share. Samsung Pay will work with payment networks and major credit card companies, such as Visa, Mastercard, American Express, and Discover, as well as with hundreds of banks around the world. The goal was to make smartphone payments easier and more secure with Samsung’s KNOX technology. The system works with the big chains and small businesses, and even with your local grocery store. It works virtually anywhere. If a retailer can swipe a card, most likely they will accept Samsung Pay, this secure, easy, and simple mobile payment. Note that Samsung Pay doesn’t store or share your payment information, so you can pay without worry. 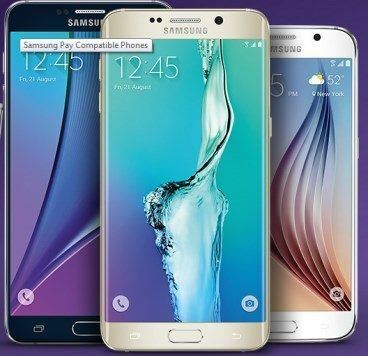 Samsung Pay also comes free on the New Galaxy S6 Edge + and Note5. Mobile payments have been heating up this year. 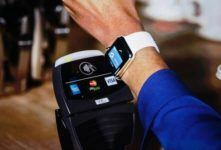 Indeed, Apple made a push with Apple Pay, Google announced that it had purchased Softcard for its Google Wallet and Google I/O, and Android Pay was introduced. Best place to sell your used smartphone or cell phone online. Free shipping. Top cash guaranteed.